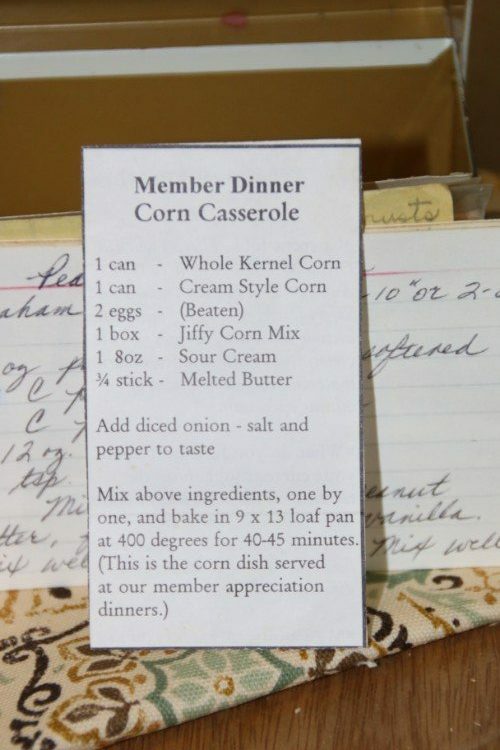 Front of the recipe card for Corn Casserole. 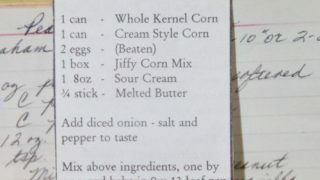 There are lots of fun recipes to read in the box this recipe for Corn Casserole was with. Use the links below to view other recipes similar to this Corn Casserole recipe. If you make this Corn Casserole recipe, please share your photos and comments below! 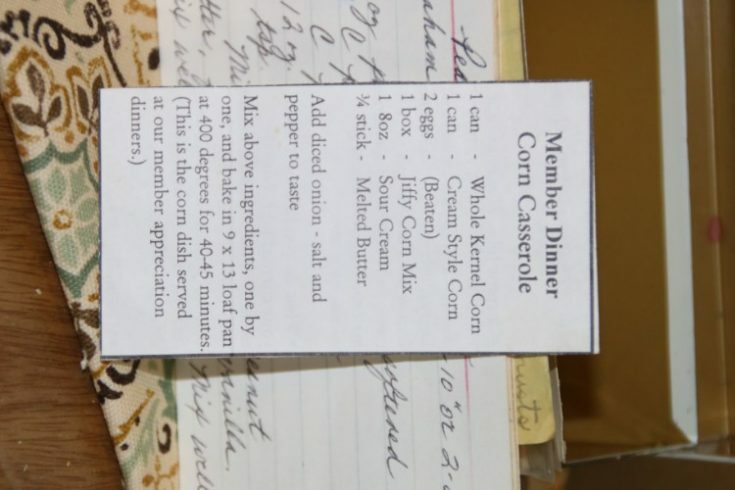 There is a notation that "This is the corn dish served at our member appreciation dinners." Add diced onion - salt and pepper to taste. Bake in 9 x 13 loaf pan at 400 degrees for 40-45 minutes.